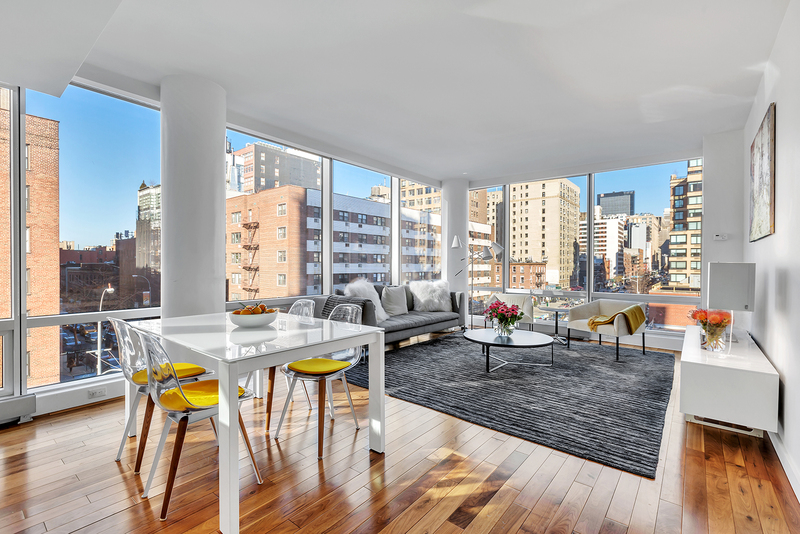 Rarely available and highly coveted, residence 4C is the largest and most dramatic one-bedroom layout at 166 West 18th Street. Spanning 1,035 square feet, this corner home offers 31 feet of floor-to-ceiling linear glass facing west and almost 27 feet facing north. Stunning natural light, dramatic blue sky views and complete openness all contribute to the wow factor of this exceptionally laid out and oversized space. Perhaps the home’s most unique feature is the showpiece living room, which sits on the northwest corner of the building; where the best light and views are experienced. Anchored by a richly fitted Valcucine kitchen with multiple prep stations, ample storage, one-of-a-kind glass cabinetry and a large island with a breakfast bar, the kitchen is a room of its own ideal for entertaining or quiet nights at home. Facing north onto West 18th Street is the master bedroom. 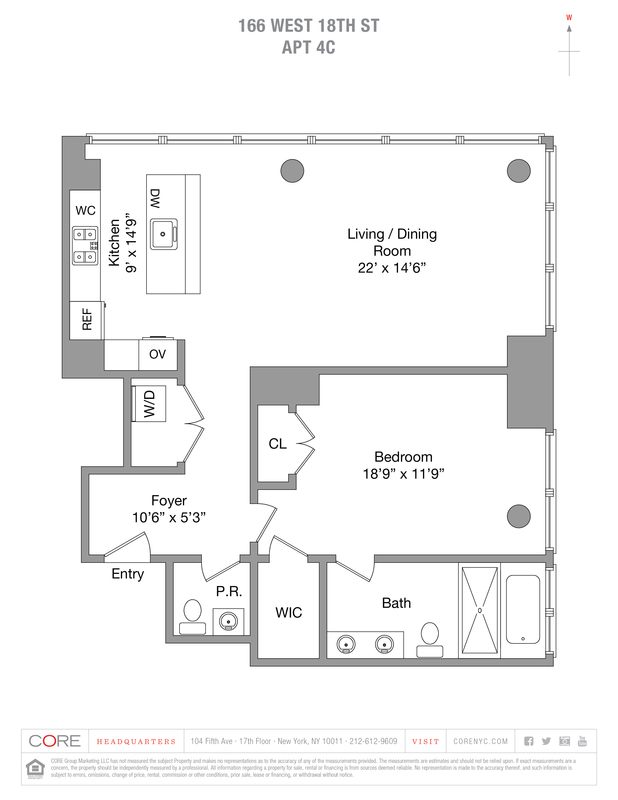 It is generously sized and has two large closets; one of which is a massive walk-in. The five-fixture master bathroom enclosed in floor-to-ceiling glass features a deep soaking tub, a walk-in shower, spacious double vanities with custom millwork and radiant heat floors.